Zinc die casting is a very meticulous process that every detail of the casting must be considered in order to come up with a product that is to produced. Also, these should be accomplished in the safest and the most economical way. How Zinc Alloy Die Casting Works? The Zinc Alloy die casting process is a forming process in which molten metal is injected into the cavity of hardened steel die. The cavity is precision machined, with tight tolerances, into a block of heat resistant tool steel. With casting process control and the uniform shrinkage charactreistic of zinc alloys, this process results in castings with exact precision. The process of zinc alloy die casting, the production cycle is the fastest of all metal casting processes due to zinc’s relatively low in melting and solidification temperature (379-390C). 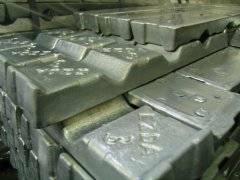 Zinc casting is used to produce parts from less than a gram in weight to a kilo or more.